Penguin Group USA revealed today that, as of April 2, it will remove the six-month embargo on ebook titles licensed to libraries and instead offer new titles immediately after they are released in the consumer market. Other pilot terms are expected to continue, including a one-year expiration date on ebooks licensed to libraries and library pricing similar to what is offered to individual consumers. As the digital publishing world continues to evolve, we can expect more business models and variation to be developed and tweaked. In fact, identifying and describing these various models and terms has been a key project of ALA’s Digital Content and Libraries Working Group (DCWG). As outlined in the DCWG report “Ebook Business Models for Public Libraries” (PDF file), libraries benefit from business models that include access to all ebook titles, enduring rights and metadata integration capabilities (see also the recently released DCWG “Business Model Scorecard” report in PDF format on ebook contract variables for libraries). We hope more publishers will consider ebook business models that license ebooks to libraries on reasonable terms at fair prices. Looking back at the events that have transpired over the past year, the new Penguin development is an example of how fast things can change. In February 2012, Penguin announced that it would no longer offer ebooks through OverDrive—the largest provider of ebooks to libraries—because of a tussle over the security of ebooks on the Kindle platform. Four months later, Penguin stated during the 2012 ALA Annual Conference that it would reenter the library ebook market by launching a test pilot in New York City. 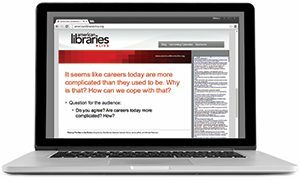 In November, the publisher expanded its pilot with vendor 3M to make its ebooks available to all libraries using the platform, with subsequent inclusion of Baker & Taylor’s Axis 360 platform. But that’s only the tip of the iceberg for the change we might see as a result of the merger of Penguin and Random House. As the two companies have markedly different ebook business models for the library market, there will have to be some kind of review and reconciliation of the models—and, therefore, this is a prime opportunity to consider options anew. Alan Inouye, director of ALA’s Office for Information Technology Policy, discusses some possibilities in his Digital Book World blog. 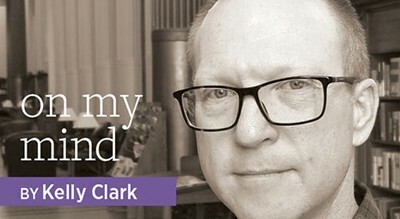 He also writes about the reasons why publishers and libraries should and need to work together in the ebook era just as they have done for many decades in the print era. Throughout the course of the last year, ALA leaders met with Big Six publishers (which includes Penguin) to discuss library ebook lending and to make the case why library lending is beneficial for publishers and society. 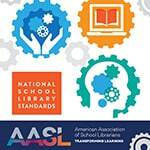 The meetings also were helpful for ALA representatives as they provided opportunities for publishers to discuss their concerns with licensing ebooks to libraries. ALA will continue to work with publishers in the future to explore win-win business solutions. In April, ALA President Maureen Sullivan will lead a library delegation to meet with Penguin and other publishers in New York City to discuss ways to make ebook titles more accessible for libraries. While there is much more to do, we are hopeful with some of the recent signs of progress such as this latest change at Penguin, the new pilot at Macmillan, and the ongoing pilot at Hachette. And we acknowledge Random House and HarperCollins for their consistent participation in the library ebook market. 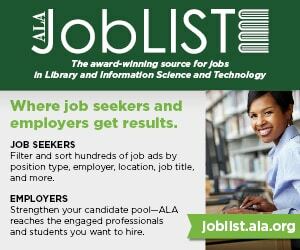 Now if only Simon & Schuster would see the light. . . .
LARRA CLARK is director of the Program on Networks and associate director of the Program on America’s Libraries for the 21st Century at ALA’s Office for Information Technology Policy.